Sealed bids uploaded online at www.publicpurchase.com or mailed in hard copy format addressed to the Honorable Mayor and City Council of the City of Duncanville, Dallas, County, Texas, will be received at the office of the Purchasing Manager, 203 East Wheatland, Duncanville, Texas, to be received until 2:00 p.m., August 11, 2016, and then publicly opened and read aloud at 2:30 p.m. for furnishing all labor, materials and equipment and performing all work necessary for the construction of the SUMMIT 8.0 MG GROUND STORAGE TANK PROTECTIVE COATING REHABILITATION. Bids must be submitted on the prescribed bid and proposal forms to be furnished to prospective Bidders, and the Bidder must supply all the information required by such bid and proposal forms. Bidders must submit with the bids a Cashiers or Certified Check of a bank satisfactory to the City, payable to or endorsed, without recourse to the City of Duncanville, Texas, in the amount of 5% of the maximum price bid, or submit a Proposal Bond in the same amount from a reliable Surety Company satisfactory to the City, as a Guarantee that the Bidder will enter into a contract and execute the required bonds within ten (10) days after notice of acceptance of his bid and the award of the Contract to him. Bids without Check or Proposal Bond will not be considered. The Checks and Proposal Bonds of unsuccessful Bidders will be returned. In accordance with Article 5160 V.A.T.S., the successful Bidder will be required to furnish not only a Performance Bond in the amount of the Contract, but also a Payment Bond in the amount of the Contract, for the protection of all claimants supplying labor and materials as defined in said law. The bonds must be executed by an approved Surety Company holding a permit from the State of Texas to act as Surety, and acceptable according to the latest list of companies holding certificates of authority from the Secretary of the Treasury of the United States, or other Surety or Sureties acceptable to the City. Each bond shall be accompanied by a surety or sureties acceptable to the owner. Each bond shall be accompanied by a “Power of Attorney” authorizing the attorney-in-fact to bind the Surety and certified to include the date of the bond. Upon completion of the project and acceptance by the City of Duncanville, the Contractor shall also provide a two (2) year maintenance bond in the amount of 100% of the Contract price from an approved Surety Company holding a permit from the State of Texas to act as Surety, or other “Power of Attorney”, authorizing the Attorney-in-Fact to bind the Surety and certified to include the date of the bond. All prices must be stated in both script and figures. The City intends to enter into a Contract with the lowest responsible Bidder. The City reserves the right to reject any or all bids and to waive formalities. In case of ambiguity or lack of clearness in stating the price in the bids, the City reserves the right to consider the most advantageous construction thereof, or to reject the bid. Unreasonable or unbalanced prices will be considered sufficient cause for rejection of any bid for a period not to exceed 90 days after the aforesaid date set for opening bids, and it shall be a condition of bidding that no bidder shall be entitled to withdraw his bid within said period. Bidders are expected to inspect the site of the work and to inform themselves regarding local conditions and conditions under which the work is to be done. Plans and Specifications, Contract Documents, and Bid and Proposal forms are available online at www.publicpurchase.com free of charge; There will be no fees or subscription charges related to accessing or participating in this bid, including receipt of award. Requests for interpretation of the Bidding Documents must be in writing and addressed to the attention of Donald McKinney, Public Works-Utilities Superintendent, at P.O. Box 380280, Duncanville, Texas, 75138-0280. Requests for interpretation may be faxed to the attention of Donald McKinney at (972) 780-4949. Requests for interpretation must be received at least three (3) calendar days prior to the date fixed for the opening of bids. Only substantive items, as determined by the City of Duncanville, will be addressed in the form of a written addenda which, if issued, will be faxed or mailed to Bidders at the address or fax number provided at the time bid documents were purchased. Failure of any Bidder to receive any such addendum shall not relieve such Bidder from any obligations under its Bid as submitted. All addenda issued shall become part of the Contract Documents. The City of Duncanville may elect to not respond to all inquiries in this manner. 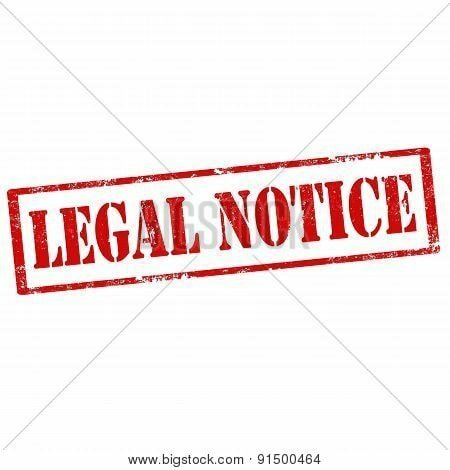 The low bidder shall be prepared to submit such evidence as the Owner may require to establish his experience, possession of such equipment, qualification of personnel, and financial responsibility necessary to prosecute the work on this project in an expeditious, safe and satisfactory manner. It will be a condition of the Contract and shall be made a condition of each subcontract entered into pursuant to the Contract, that the Contractor and any subcontractor shall not require any laborer or mechanic employed in performance of the contract to work in surroundings or under working conditions which are unsanitary, hazardous, or dangerous to his health or safety, as determined under construction safety and health standards, Title 29, Code of Federal Regulations, Part 1518.36 F.R. 7340, promulgated by the United States Secretary of Labor, in accordance with Section 107 of the contract Work Hours and Safety Standards Act, 82 Stat. 96. Previous articleAre You Ready For Some DeSoto Football?